The SCTAA met on March 24, 2014 with 27 in attendance. 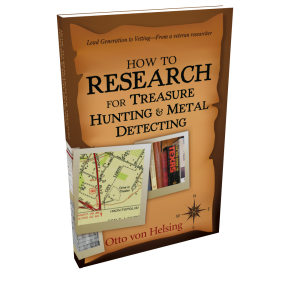 Greg Parma presented the program on his experiences learning about metal detecting in England, which is quite different from detecting in the USA. Greg donated 10 English coins for next month's raffle. Barry Fletcher brought in club decals which he is donating to the club. The prices will be $1 for the first decal. Fifty cents for all that a person purchases after that. Our May meeting date has to be changed since it falls on Memorial Day (a holiday for Greer Rec. employees). The new date is Monday, May 19, 2014. We sent "get well" cards to Harold Bell who fell and was bruised up and Jimmy Cochran who is battling cancer in his bladder and a kidney. February treasury ended with a balance of $644.33. We collected: 2014 Memberships - $25; scavenger hunt entries - $5 (Tim Blackwell); Money Donations for Points/Raffle - $67; donation can - $10.38; Sale of Decals - $13. The amended closing balance is $764.71.